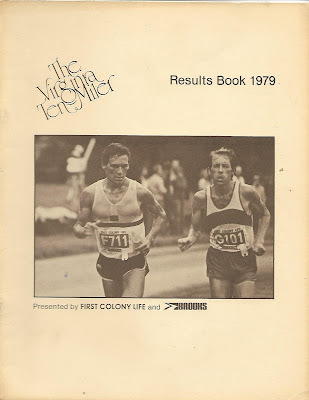 It was in my first year of racing, 1978 that I saw an ad in Runners World for this race. It looked fun and challenging so my brother and I decided to give it a shot. In those days before the internet we had to send in an SASE for an application. 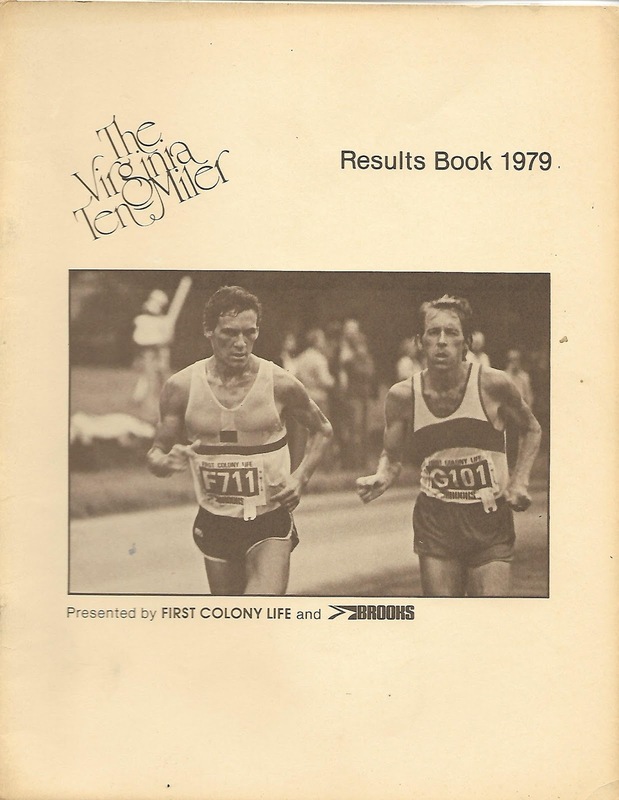 I'm not sure how much of a deadline there was but it had to be at least a month before because they would mail you out a pre-race Booklet with all the entrants and pictures and results from the previous year. And then about three weeks after the race you got a results booklet in the mail ! My racing experience was very limited so it was quite exciting to go to the pre race festivities including a panel discussion with the world class athletes. This race was one of the early classics with a rich history of epic racing in the 70's and 80's and was a big part of the fuel that helped the growth of the first running boom. The people that raced here is a who's who of that era. Bill Rodgers, Frank Shorter, Craig Virgin, Lasse Viren and Rod Dixon who set the course record in 1980 which still stands. And the women just as strong with Julie and Mary Shea, Grete Weitz, Jacqueline Gareau, Anne Audain among others. So back to the race. In those days it was mid September instead of the last weekend and it had a 10 am start. And it got hot ! 88F. I had a hip injury over the summer and was woefully unprepared and my brother was not much better off but we were ready for the challenge. And what a challenge it was ! We had never covered 10 miles and we thought we had run on some hills until we saw this course. Yikes. Not a flat place anywhere and just the last 1.5 miles gains 200ft. Brutal. I don't remember many details but just know it was a tough miserable day with lots of walking up that last hill. My time was 1:47:03. So what did we do? Signed up right away for the next years race, determined to improve . And that begin a 15 year streak until life got in the way after 1992. But I did improve and have some wonderful memories. Eventually I learned how to pace properly for the course and improved my course pr to 1:08:15. To put that into perspective as to how hard the course is, the same year on the flat Cherry Blossom 10 miler I ran 1:04:42. Eventually I was able to return for another 4 year streak from 1999 to 2002 but after that I never made it back. By then my focus was on ultra running and it just never was able to make it back onto my schedule. Until now. With Ultraman still off in another galaxy I decided to make my return this year after 14 years away. I am so excited although I really don't feel I am quite ready and the weather is going to be warm and humid. But I'm going to soak it all in and give it my best. Wish me luck !